The original collaborative project-based ensemble – from which Spotted Peccary Music was formed in the mid-1980’s – lead by principal member Howard Givens with early Spotted Peccary artists and label co-founders Teeto Cheema, Nancy Thorington, Alon Feder and Debra Musgrave. Heavily inspired by the environment and energy of the Sonoran desert and mountains surrounding Tucson, Arizona, the Brain Laughter projects “In the Land of Power” and it’s follow-up release “Not Far from a Distant Sun” (with Howard Givens, Debra Musgrave, Steve Roach) emphasize the blending of electronic instruments with acoustic natural sounds and percussion suggesting the feeling, grandeur and openness of that environment. Over the evolution of the ensemble, various artists and classic instruments have been featured, contributing to the diverse soundtrack-like sound and thematic focus of the projects. The basic Brain Laughter group effort was formed from experimentations with acoustic and electric guitars, flutes, mic’ed vocalizations and synths all being passed through delays and reverbs. Synths such as the Roland Juno 106, Roland MKS Super Jupiter and the Sequential Circuits Prophet T8 led to the early tonal signature, later augmented with the Roland Jupiter 6, Oberheim Matrix 12, Matrix 6R, Yamaha TX, and Roland D-50. 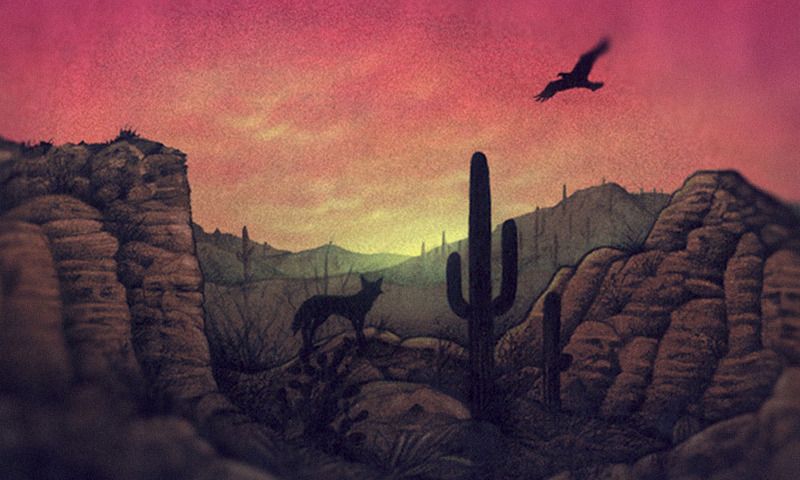 The principal compositions are based on a sonic “recreations” of actual experiences in the Sonoran desert, attempting to capture the essence of those magical moments, the art essentially reflecting our view of the surreal aspects of life, and certainly life in this powerful geographic area. With the completion of 1995’s “Not Far from a Distant Sun”, the Brain Laughter project has been put on hold for a time, awaiting the next chapter where the process of reflection and remote perspective will yet again inspire a creative momentum, and perhaps a new vision of life in the land of power.